Let’s take a look at the hair services we offer. Below you will find hair services that we offer in our Boston salon location. From hair extensions to hair cuts, to hair color and hair treatments, you can read about all the hair services that we offer and which of them will give you your perfect hair. Then simply click on the Book Appointments button at the top of the screen and come visit us. Your consultation appointment is a crucial step to your extensions journey. Together with your stylist you can discuss what look you’re trying to achieve, what your needs are, measure your head to determine how many extensions we need to special-order, and custom-match the color of the extensions to your own hair to ensure the perfectly blended long-hair look you’re craving. During the application process your hair will be prepped by clarifying all the minerals, oils, and any product residue that may have been left in your hair. This ensures a perfect, clean surface for the extensions to be applied. For some individuals, special treatments might be needed based on their the condition and texture of their hair. Once your hair is ready, the correct method that has been determined during the consultation appointment will be applied while you enjoy the comforts of our salon. Following the application, the hair extensions will be cut to blend seamlessly with your own hair. Your hair extensions will be washed and blow dried, and cut using a special dry cutting technique to seamlessly blend your hair with the extensions. The clip in extensions can only be applied to clean and blow-dried hair. You can come in with your hair ready for clip-ins or you can schedule a blow dry appointment with one of our specialists and we will have your hair prepped for the application process. Heat tool style is included with this service, so you can leave the salon with flawless hair. Wash and style, using a blow-dryer and brush combined with special hair care products to keep your wig silky and bouncy. Once your appointment is scheduled, you can drop your wig off at any time and pick it up at the end of the day, while we’ll take care of the rest. Root or re-growth color, about 1 to 1.5 inch of new growth or 4 to 6 weeks for first time clients that need color formulation. Root or re-growth color, about 1 to 1.5 inch of new growth or 4 to 6 weeks for existing clients that already have their color formula with us. Coloring just the hairline and part, or front of head from top of one ear to another. Permanent hair color, to change or refresh existing color. Performed after a highlight service, like foil or balayage, to change the tone of the highlighted hair. A color refresh from roots to ends, can be used to cover grays, can be used for gray blending, and can be used to change the tone of hair. Drastic change of color, from dark to really light, really bright to really dark, and everything in between, requires a color consultation appointment. A lightening service with color or lightener that is done by using a free hand painting technique. Can add brightness and dimension. Applied to hairline and parting only. A lightening service with color or lightener that is done by using a free hand painting technique. Can add brightness and dimension. Applied to sides and crown of head only. A lightening service with color or lightener that is done by using a free hand painting technique. Can add brightness and dimension. Applied to full head. A lightening service that utilizes color lightener with the assistance of foils. Color is applied to hairline and parting only. A lightening service that utilizes color lightener with the assistance of foils. Color is applied to sides and crown of head only. A lightening service that utilizes color lightener with the assistance of foils. Color is applied to full head. Includes a wash, blowdry, and a personalized haircut that emphasizes your best features and makes your personality pop. Includes a wash, blowdry, and a personalized haircut for hair length past shoulder blade, that emphasizes your best features and makes your personality pop. Specialized dry cut technique for curly hair that allows the perfect curly cut avoiding the “Triangle Head” or “Frizz Ball” look. You must come with hair clean, dry, with natural curl pattern, otherwise, must schedule a DevaCurl Set appointment prior to the DevaCurl Cut. Barber style haircut, using clippers, trimmers and scissors for that perfect fade. Includes a consultation, expert haircut, massaging scalp shampoo and condition, and finished off with a perfect style. Scissor over comb technique used to create tapered short hair style. Maintenance appointment between haircuts focusing on neck, brows, sideburns and around the ear. Usually scheduled 2 to 3 weeks between regular appointments. Trim, shape and outline beard or mustache with Andis Outliner and finishing with an Andis Profoil Electric Shaver (optional) for a skin close shave without using a straight edge. Eliminates some of the gray hair facial hair for a subtle salt & pepper blended look. Wash and style, using a blowdryer and brush only for hair length shoulder blade and up. Wash and style, using a blowdryer and brush only for hair length past shoulder blade. Additional style using a flat iron, curling iron, wand or any other heat tool. A woman’s hairstyle in which the hair is swept up and fastened away from the face and neck. Specialized technique for setting curls to dry with bounce and volume in the hair, while maintaining the awesome curl pattern. The new Kerasilk with Keratransform Technology™ (KT³™) fuses the power of three superior ingredients to deliver powerful transformations. The first two ingredients — engineered Keratin and lightweight silk — contribute to structural support and long-lasting color protection. Together, these form the foundation for all Kerasilk formulas. The third advanced ingredient, inspired by skin care scene, delivers specialized results specific to each of the Kerasilk four segments. Together, the combination of ingredients propels Kerasilk to the forefront of the industry, delivering the perfect transformation of beauty, strength, and protection. This impressive, multi-pronged approach propels Kerasilk to the forefront of luxury hair care innovation — the foundation for the perfect transformation of beauty, strength, and protection. Brazilian Blowout is the only smoothing treatment that can be customized to keep curl and lose frizz, or to achieve a sleek and straight result. Known for significantly reducing drying and styling time for up to 12 weeks, a major benefit of this treatment is that it is finished at the salon with no “down” time. This means you can leave the salon and immediately wash your hair, exercise, put it in a stylish ponytail or clip without having to wait days to do so. Keratin is a fibrous protein found naturally in the hair. It acts as a protective shield against humidity, the primary cause of frizz. Over time, the hair loses keratin from exposure to the sun, the environment, styling and chemical services. This unique Smoothing Treatment infuses this lost keratin in your hair to repair years of damage and restore hair health. Repairs the damaged areas of the inner keratin fibers, in addition to smoothing the surface of the hair, it adds body while giving elasticity, shine as well as controlling frizz. Active ingredients are hydrolyzed keratin, silk sericin, jojoba and avocado oils. Reattach and build the bonds of the hair that are responsible for supporting the inner hair structure, therefore, reducing breakage and preventing damage during and after color services. From bleaches to single process color, b3 let’s you walk out of our salon with hair that’s in better, healthier condition than when you walked in. The color is vibrant, shiny, and exceeds the average time in between color by up to 4 additional washes. b3 Demi Permanent Conditioner is an innovative service that provides intensive repair and long term conditioning for extremely dry, very damaged and chemically treated hair for up to 12 washes. b3 Demi Permanent conditioner is specifically formulated for use with b3 Brazilian Bond Builder to penetrate the hair and fuse amino acids to weakened and compromised fibers through the use of a breakthrough bond building technology. This technological advancement reconstructs and strengthens the hair from within while helping to resurface and seal the cuticle, preventing moisture loss and protecting against heat and mechanical styling as well as future damage. A color-safe, dual phase protective system cationically charged to bond close the cuticle while surrounding strands with a hydrophonic barrier to block humidity, eliminate frizz and help prevent treatment loss, keeping the Brazilian Blowout looking salon fresh, longer. Detangles and adds body to the hair, eliminates frizziness and adds brilliant shine, as well as protects and strengthens structural fiber. Reduces the washout of Elumen Hair Color and increases the durability and locks in the Elumen Hair Color. Fast refreshment of the highlights refined, nuanced blonde with subtle pigmentation, shine sealing, unique gentle shading and suppleness in the lengths and ends delivering brilliant, natural radiance. Gives an all-round luminous, lively blonde color. Beautification of the highlights, intensive shine sealing, adds new freshness and liveliness. Adds moisture and deep condition for long-lasting color depth, brilliance and vibrancy for color-treated hair with the power of Keratin and Tamanu Oil. Smoothes for long-lasting manageability control and shine for unmanageable, unruly and frizzy hair using Keratin and Liquid Silk. Provides lasting moisture and protection from recurring dryness. Fortifies, reconstructs and enhances resilience. Formulated for stressed and damaged hair using Keratin and Hyaloveil™. Perfect for color-treated hair, this Brilliance Sealer uses Keratin and Tamanu Oil to complete the lock-in process and seal in color and caring ingredients for a long-lasting silky hair feel. Seals in the effect of the Goldwell Kerasilk Control Keratin Treatment and minimizes odor. Provides heat protection for unmanageable, unruly and frizzy hair using engineered Keratin, lightweight silk and Glyoxylic acid. The total vegan celebrity must-have, dramatically intensifies color brilliance for natural, bleached and highlighted blondes. Takes blondes from ashy and brassy to bold and beautiful. Unleash your inner blonde goddess! It instantly transforms natural blondes, bleached and highlighted hair from dull to dazzling, increases shine, infuses moisture, restores vibrancy, reveals unmatched shine, flow and movement of hair! Formulated with a patented, nature-identical vitamin C complex, 100% Vegan, food-grade, wellness ingredients, enhanced with pure Pro Vitamin B5 and is formulated without preservatives, parabens, gluten, fragrance and no sodium chloride (salt) added. When horrendous hard water gives your hair a truly tough time, this weekly wellness hair remedy restores the life of weighed down locks for body, bounce and sheer brilliance. This packet naturally removes hard water deposits and impurities leaving hair instantly softer, shinier and full of swing, eliminates brassiness, discoloration and damage caused by mineral absorption, while the vitamin-infused formula deeply penetrates for superior moisture retention. 100% Vegan, ionic food-grade, wellness ingredients, immediately improves the look and feel of hair, is formulated with a patented nature-identical vitamin C complex and is enhanced with nourishing chelators. Formulated without preservatives, parabens, gluten, fragrance and no sodium chloride (salt) added. Witness a deep conditioning miracle with this 100% vegan treatment ideal for feeding nutrient-starved strands that is packed with gluten-free plant proteins and enriched with Pro Vitamin B5 for mega-moisturizing. Why you ask? Well it immediately repairs damaged hair, rebuilds inner structure of hair, instantly detangles; restores manageability, hair becomes shinier, softer and full of body and bounce and it nourishes and protects every strand of hair. This MIracle Repair is formulated with a mega-dose of gluten-free plant proteins that penetrate deep into the hair shaft, seeking out weak spots; strengthens within, leaving hair looking and feeling more resilient. It is 100% vegan and formulated without parabens or gluten. This easy-fix wellness hair remedy is your first step to color success as it helps remove undesirable color and color-blockers while instantly hydrating and restoring the manageability and shine of your tresses. It draws out hard water mineral build-up, instantly stops oxidative action of peroxide, it is done right in the shampoo bowl for immediate results and prepares hair if reapplication of color is necessary. THe QuckFix is very gentle, yet effective, wellness alternative to harsh chemicals, 100% vegan, cruelty-free and made in the USA and is formulated without: gluten, sulfate surfactants, parabens, preservatives and fragrance. Malibu Weaves & Extensions Treatment is formulated with exclusive crystalized vitamin technology that stops oxidative action to prevent breakage. It prepares hair for chemical remedies by gently and thoroughly removing mineral and product buildup. It banishes discoloration caused by mineral and buildup blockers and instantly renormalizes chemically stressed human and synthetic hair. Not only will it deeply penetrate into hair to enhance moisture retention, but it will also soothe dry and irritated scalps. Formulated with Vitamins B & C and biotin, hair achieves highly therapeutic results. It is safe to use on all extensions and hair systems. This 100% vegan formula is formulated without preservatives, parabens, gluten, fragrance and sodium chloride. The ultimate flake fighter that naturally soothes and satisfies while instantly delivering vital nutrients to help relieve symptoms associated with dry scalp. Why is this a must have? It is the first ever 100% vegan crystallized flake fighter, instantly begins to soothe itching and irritation, infused with a one-of-a-kind blend of soothing botanicals and essential oils and is safe for lifestyle use, unlike many ‘traditional’ scalp products. As we mentioned earlier, it is 100% vegan, food-grade, wellness ingredients, infused with a B vitamin complex plus biotin for intensely therapeutic results, promotes a healthy scalp by massage that improves blood flow to scalp layers, formulated with a patented – nature-identical vitamin C complex. Formulated without preservatives, parabens, gluten, fragrance and no sodium chloride (salt) added and is eco-chic sachet packaging and ingredients contain no zinc pyrithione formulated in some dandruff/eczema products. Eco-chic wellness remedy primes hair for color perfection while drawing out all color-blocking elements to ensure optimal coverage and extended color vibrancy. Readies hair for unprecedented color absorption, coverage and retention, extends color vibrancy, counteracts brassiness, dullness and discoloration, accelerates color-processing time, all while stopping the oxidation of salon chemicals, including peroxide, that cause scalp irritation/burning. Formulated with a highly advanced, patented blend of nature-identical antioxidant vitamins and moisture-binding botanical nutrients. It activates on the spot for maximum potency, is 100% Vegan, ionic food-grade, wellness ingredients. Formulated without preservatives, parabens, gluten, fragrance and no sodium chloride (salt) added. 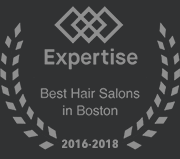 Extology is a modern hair salon located between the historic West End and North End neighborhoods of Boston, specializing in hair extensions, hair cuts and hair color. We offer a full range of services from balayage to blowouts, and everything in between. 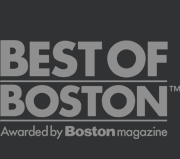 We are super honored to be recognized as Boston's best hair extensions salon destination. 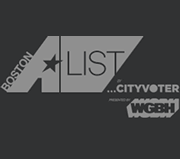 We want to thank all of our wonderful clients that voted for us.